A warm welcome to 2019 and the beginning of the new school year. The purpose of this letter is to inform you about how you can access important information regarding the start of the 2019 academic year. At 9.00am on Monday 11th February, a Mihi Whakatau will take place as a formal welcome to all those new to Liston College. The main entrance and the area outside the school chapel will be used for this. All are welcome. The Inaugural College Mass for Liston College, with the inauguration of Special Ministers, Head Boy, Deputies and Prefects for 2019, will take place in the College Gymnasium at 11.30am on Monday 18th February. Everyone is welcome. On Monday 18th February from 6.30 - 8.30pm, the Liston College PTFA will host a BBQ for new students and parents. This is an opportunity to meet staff and members of the school’s parent body. On Tuesday 19th February at 7.00pm, there will be an opportunity for parents of students entering NCEA, to get an overview of the NCEA system and ask questions about it, meet those staff teaching NCEA subjects and obtain relevant subject course outlines. A Parent’s Handbook is available for all families. This handbook contains valuable reference materials for parents about the College. The handbook can be found here and a copy will be given to all students early in February to take home. Also a copy was given to all students who attended the Orientation morning in early November. Information regarding Liston College Uniform requirements can be found on the school website and in the Parent’s Handbook. Please be aware that students are required to wear the correct uniform at all times. If you are unsure about any aspect of the school uniform, please contact Mr McKenty at the College. 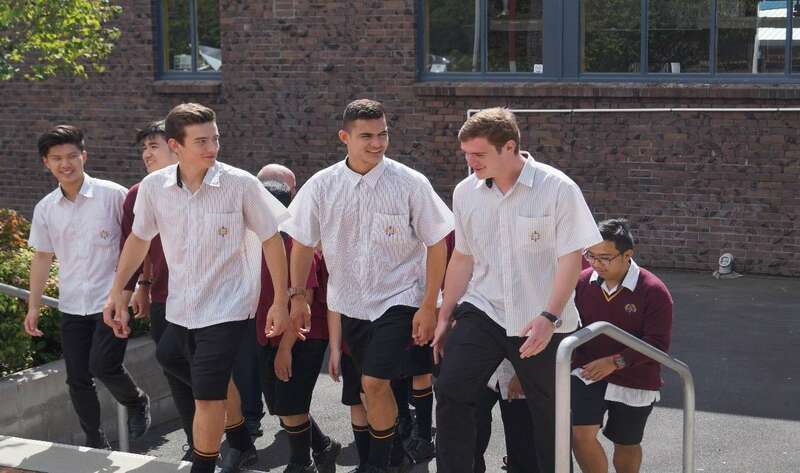 The Liston College school uniform will be sold at St. Dominic’s Catholic College, Gymnasium (entrance by Pinedale Place car park) on Saturday 12th January, 10.00am –1.00pm. Year 7-11 students are required to wear a PE shirt in their house colour for core PE lessons. However, Year 7 students will have to wear Mufti clothing for their PE lessons during the first 6 weeks of Term 1 while their house colours are being determined. Their PE shirts will be distributed through the student’s PE class. Years 8-10 students who require an additional or a replacement PE shirt, can pick one up from the PE Department. All costs will be added to the parents School Account for payment. Please take time to read the Liston College Code of Conduct, which outlines our expectation for all students. Students are also expected to be familiar with the contents of this document and abide by it. A copy is on the school website as well as in the Parent’s Handbook. Information relating to your son's stationery requirements for 2019 can be found on the link above. Students must have their stationery prior to school commencing. Specialised stationery may be purchased from the College. Where there is a fee for materials/equipment, this will need attending to as early as possible in Term 1. This year all students from Years 7 to 13 are required have and use a School Diary. Students will receive this from their Dean or Form Teacher in the first week of term 1. This diary has been specially printed for Liston College and contains information that is relevant to this school. It is a useful tool in aiding students’ time management skills, as well as a means of recording events and homework. It can also be used for two-way communication between parents and teachers. All students must have an ID card. This enables students’ access to the College Library and concessions such as reduced charges for transport as well as being able to use the school photocopiers. Students will be photographed on Tuesday 20th February, with a follow up day for those absent at Tuesday 26th February. During the year, you will receive a number of Reports updating you of your son’s academic progress. The first of these will be available on Thursday 28th March, and regularly throughout the rest of the year (see the school newsletter / website for dates). On Wednesday 10th and Thursday 13 April there will be an opportunity for you to meet the teachers and discuss your son’s progress. Please note the new times for 2019. Other Parent Teacher interviews are scheduled for Term 3. Please remember that school starts at 8.40am with a Form Period and Prayer. Any student who is late is required to go to the Deans’ Office (until 9.30am), then after this time, to the School Office, to receive a late slip for presentation to their Form Teacher. If your son is absent, please phone the school’s Absentee Line: 837 9807 or email: absentees@liston.school.nz. Please assist us by ensuring that your son(s) is at school on time. The College takes no responsibility for loss or damage to computers / tablets, cell phones or other electronic devices (including MP3 players, Ipods, etc) brought to school by students. All students are to be reminded that cell phones and other electronic devices are to be switched off in all classes (including Form time) unless express permission to use the device, has been given by the teacher. This also includes the wearing of ear phones during these times. Please assist us by reminding your son of this requirement.